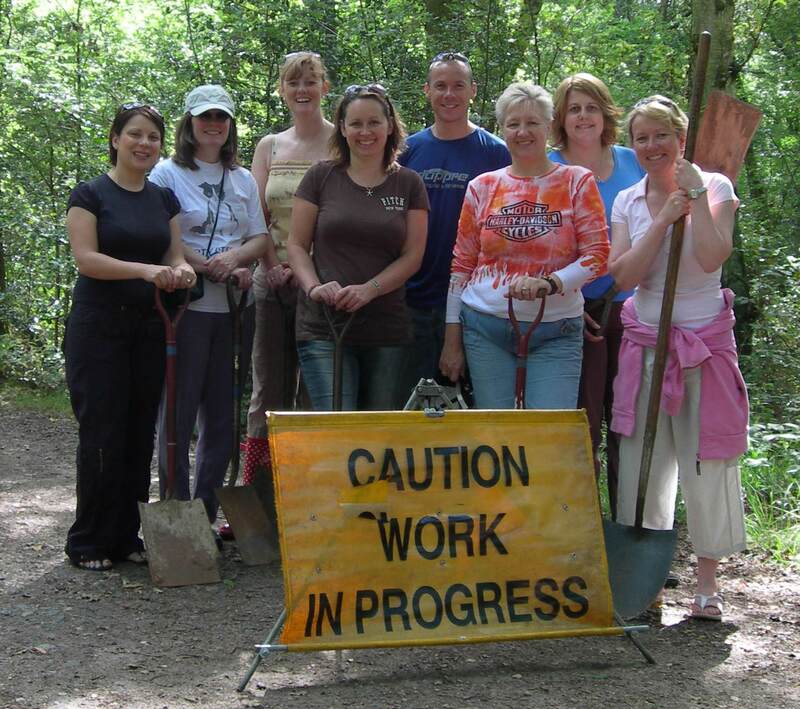 Eight staff of Eli Lilly, the pharmaceutical company with a base at Basingstoke, spent the day repairing a footpath which had been eroded away by two flooding events in 2007. Visitors will no longer be obliged to paddle across a soggy footpath in Sandhills Wood at Fleet Pond (see map in About section). The highlight of the visit (apart from having a brand new footpath section) was a picnic feast at Sandy Bay at lunchtime, when the Eli Lilly team produced a superb spread to refresh their energies. Four of the team also dug out accumulated silt and debris from Coldstream (see map in About section). Ditch which had led to the ditch overflowing across a wide stretch of footpath every time there was heavy rain. Fleet Pond Ranger Joanna Lawrence and Fleet Pond Society Chairman Colin Gray were delighted with the results. The Eli Lilly team said it was one of their best team building days so far. Eli Lilly and Company Limited is the UK affiliate of the major American pharmaceutical manufacturer, Eli Lilly and Company of Indianapolis. This affiliate is one of the UK´s top pharmaceutical companies, with a research and development centre, two manufacturing sites and a distribution centre which exports medicines to all parts of the world. It employs over 2,400 staff in the UK. The helicopter in the picture above belongs to Surrey Air Ambulance. Interestingly, until recently Surrey was one of only a few counties in the UK that did not have its own dedicated Helicopter Emergency Medical Service (HEMS). This changed in June 2007! The service, based at Dunsfold Park, flies fast, direct and unhindered at over 150 miles per hour and the entire county can be reached within minutes. 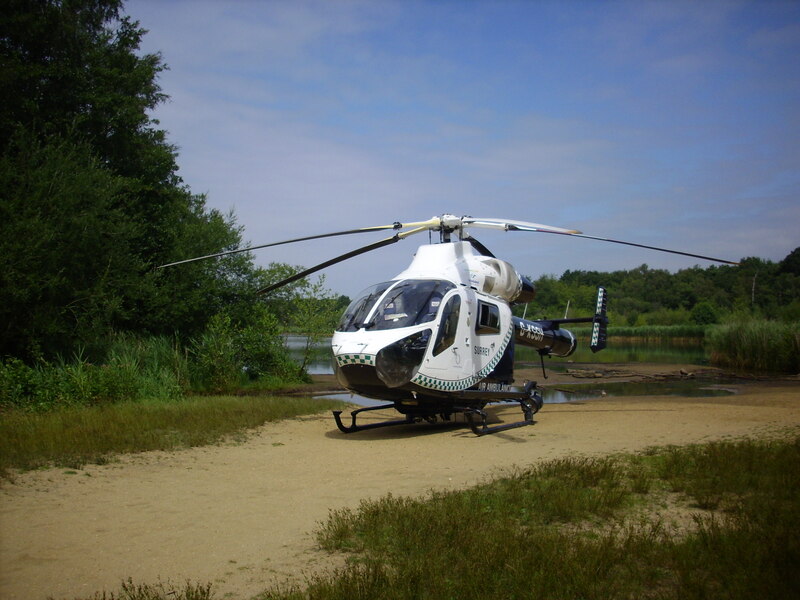 The principal challenge for the registered charity is to meet the yearly running costs of approximately £1.5 million to provide Surrey and neighbouring Sussex with an emergency helicopter service, 7 days a week, 365 days a year. This will take place on Saturday 2 August. Meet at Fleet Pond car park off Cove Road at 10.30 am. Fleet Pond Ranger Joanna Lawrence looks at the various management works going on around the pond including the use of livestock to maintain the marshes and heathlands, as well as reptile habitats and, weather permitting, even some snakes and slow worms. Duration approximately one and a half hours. All walks advertised above are weather dependent and may be altered at short notice. 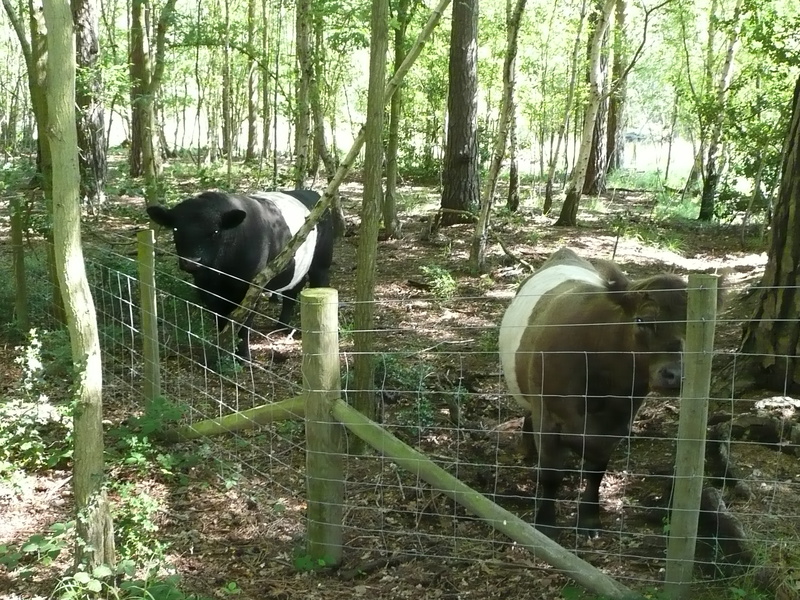 Unfortunately due to the possible disturbance to wildlife and grazing animals dogs are not permitted unless stated. Due to popularity, some walks may need to be booked in advance. Please check to see if this is one of the ones you are going on. Please note that the walks are due to begin at the times advertised so please arrive a couple of minutes early to avoid disappointment. If you would like to arrange a guided walk for a group or a club then please contact us to arrange a convenient time for yourselves. New Home For The Boats! Over time, the Fleet Pond Society Office in the Countryside Workshop (off Kenilworth Road) had become rather full, mainly with two boats and a host of wheelbarrows! 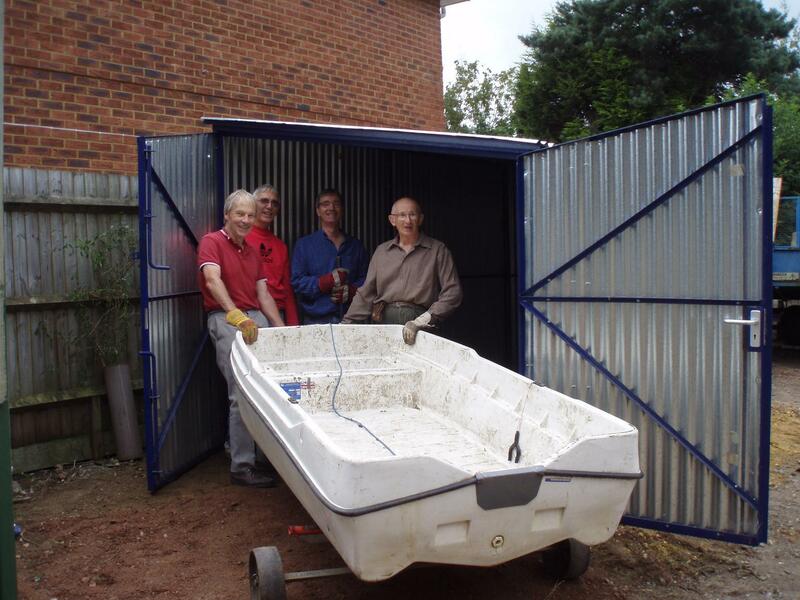 On Friday 18 July, a group of 9 volunteers got together to help put up a new home for them. After three hours and a bit of IKEA-like head-scatching, the job was done. The office will now be transformed into something far more useful – more on this exciting development later! Hampshire & Isle of Wight Wildlife Trust are running a guided walk at Ancell’s Farm on Sunday 10 August, which will explore the hidden lives of these fascinating insects. The walk will run from 10.30am – 12pm. For further details, please contact Oliver Hine on 01256 381190. Suggested donation £1.50. Dogs on leads are welcome! 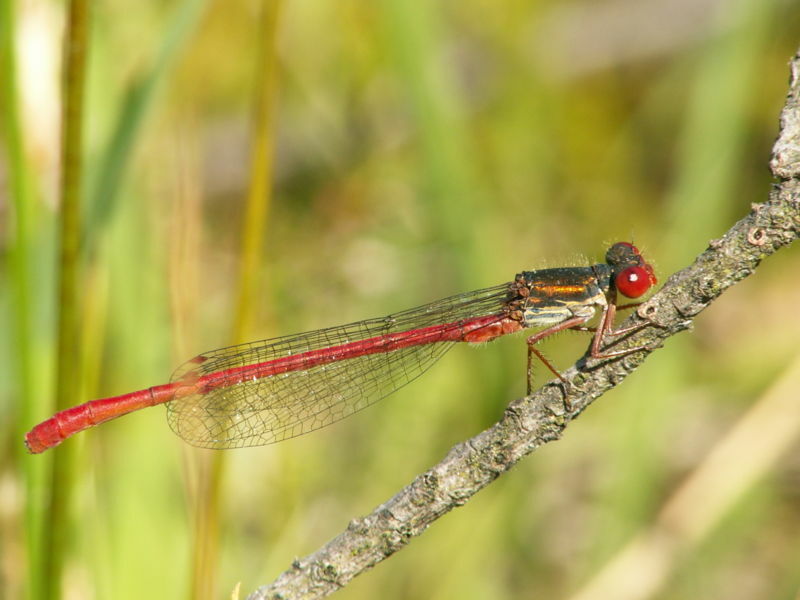 Ancells Farm, near Fleet, is notable for its population of Small Red Damselflies. This is a nationally rare damselfly but it is quite common at Ancells Farm. It has a rather weak, fluttering flight and tends to fly low over vegetation. It can be seen amongst the Bog Myrtle on the fringes of the pond between June and September. Picture taken from Wikipedia (courtesy of Piet Spaans) and it’s use is covered by a Creative Commons Licence. 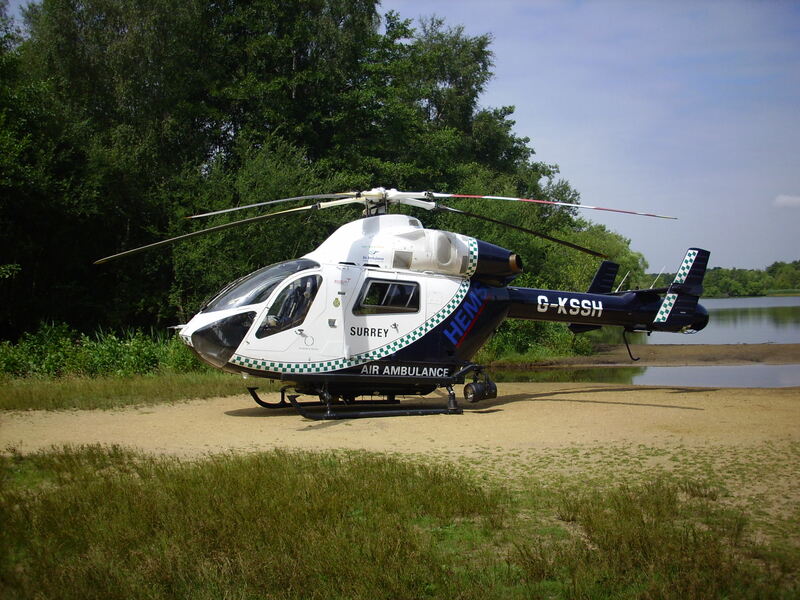 Air Ambulance at Fleet Pond! A helicopter landed at Sandy Bay late this morning in response to an emergency call, after first and unsuccessfully trying to land in the Fugelmere area of Fleet Pond – quite a tricky endeavour! The Surrey Air Ambulance was transporting paramedics to an emergency in Pondtail. The impressive picture was taken by Fleet Pond Society Chairman Colin Gray who happened to be in the area inspecting the work site for the Eli Lilly volunteers visit on the 30th July (see post). The landing must have been quite a surprise! You are currently browsing the Fleet Pond Blog blog archives for July, 2008.